We are happy now to restart these workshops and bring them to you in a new, enlarged format.Healing Voice I (Introductory Mini Workshop) and Healing Voice II (2-day Intensive Workshop Retreat). We offer these workshops to anybody, man or woman, teenager or elderly, to help you to de-stress, liberate your voice, to become more creative, clear emotional blocks and even accelerate the process of healing of any trauma! Conscious work with your own voice tonals also helps to remove mental chatter and brings you closer to the true nature of your being, free of self-imposed limitations or inhibitions- spontaneous, joyful, fearless and balanced. You probably may wonder how this is achieved. The best way to find out is to come and experience yourself, and in the process have lots of fun. To participate in this workshop you do not need to be an opera singer or musical genius, quite the opposite, the most ordinary people have here an opportunity to experience their own hidden extraordinary nature. Sound is a carrier of vibration. Your own voice has the power to energize, unlock, re-organize, heal, calm and re-balance you, but you need to know how to apply it. Learn new facts, backed by science, and partake in special exercises that will unlock your own healing and creative potential through the power of your own voice. Get ready to surprise yourself. There is a much greater power sleeping inside of you then you’ve ever thought. Book these workshops now and give your voice a chance … to lead you on the path of self-discovery. If the dates don’t suit you, but you would like to participate in this workshop at the later stage, then please email us your details, so that, in the near future we will be able to let you know about upcoming new dates and venues. Book early; we have a space for maximum eight to ten participants only. Teas included, but please bring your own lunch and snacks with you for a communal meals. To secure your space please pay a non-refundable deposit of €20 for Healing Voice I and/or €40 for Healing Voice II (2-day workshop). Booking/Deposit can be paid online via PayPal below (which also gives you an option for credit card payment). If this option does not suit and you prefer to write a Cheque or Postal Money Order made payable to Kris Zurek (sent to the venue address), to complete a booking, you still will need to add this item to a cart. Then, while checking out, choose ‘Manual’ instead of ‘ PayPal’ option. This way will allow you to submit your details and thus your booking will be confirmed. 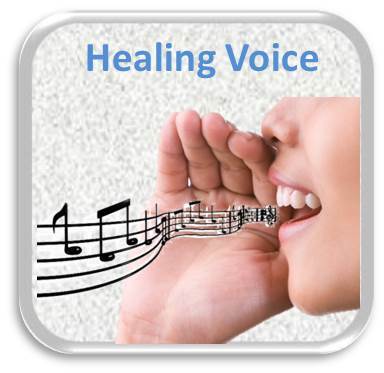 You can also view one of our articles on “Healing Voice” in articles section, to learn more about the benefits of sound healing.